LEDVANCE Direct/Indirect Panel is a LED Panel luminaire, which delivers real added value in office buildings. Apart from the excellent glare reduction of the luminaire (UGR < 19), it offers a 70 % direct and 30 % indirect distribution of light. In addition, the microprism structure of the acrylic glass optimizes light diffusion. And with a wide range of accessories and add-ons to choose from, the Panel luminaires can be adapted precisely to fit the requirements of the particular office environment. Versatility is also a characteristic feature of the Downlight Comfort. The glare-free (UGR < 19) luminaire is designed in line with the “one fits many” approach. Three different light colors (3,000, 4,000, 5,700 K) can be selected directly on the recessed luminaire to meet the requirements of the particular application. Meanwhile, the push button terminal connection allows the luminaire to be installed quickly and without the need for tools. Boasting an IP54 rating, the Downlight can be used in damp areas as well as in offices and shops. 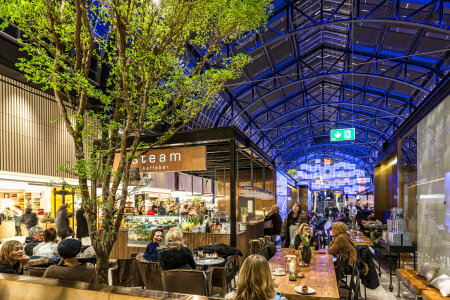 Retail and shop environments in particular are set to benefit in future from the precision lighting offered by the new LEDVANCE Tracklight Spot. The spotlight luminaire comes with three different luminous flux levels, beam angles and housing colors and impresses thanks to its high luminous efficacy of up to 85 lm/W, quite apart from its excellent color rendering (CRI >90). Especially useful: The luminaire can be installed effortlessly on all conventional 3-phase rail systems. LEDVANCE also offers a truly unique solution in the area of continuous lighting strips with the innovative TruSys system. Complete luminaires can be conveniently attached to the current rails. Luminaires with different beam angles will be available for the simple snap-in system, which are ideal for a variety of different industrial and shop applications. Moreover, a DALI version is also set to be launched on the market. The high-bay luminaire segment is to get a new addition in the form of the High Bay DALI. The model delivers a constantly high luminous flux over the entire lifespan with a luminous efficacy of up to 140 lm/W. Depending on requirements, the luminaire can be extended by a standalone motion sensor and the beam angle adapted by means of an additional reflector. Offering a very high luminous efficacy of up to 150 lm/W, two different luminous flux levels and a long lifespan of 50,000 hours (L80/B10), the new Damp Proof Special luminaire from LEDVANCE is ideally suited for hygienically-sensitive environments such as in catering, special production facilities or agriculture. The acrylic glass luminaire comes with an IP69K/IK06 rating. 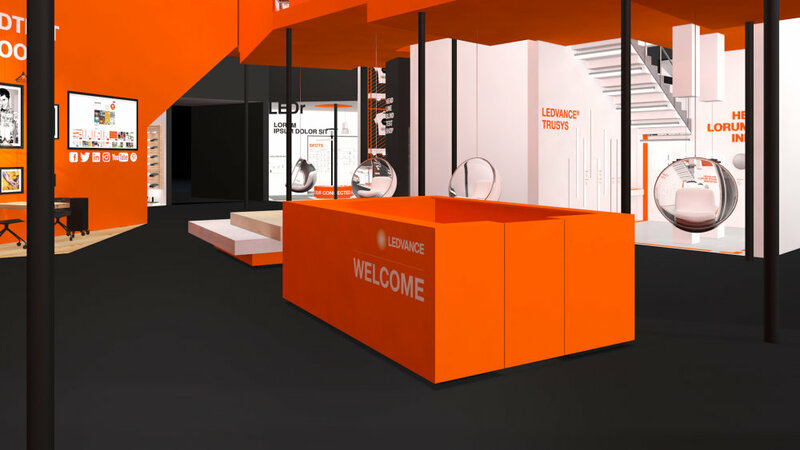 LEDVANCE will focus additionally at Light + Building on the area of emergency lighting. In addition to downlights for anti-panic lighting as well as safety lighting for escape routes, new safety signage will also be demonstrated. The highlight models are due to be launched on the market from July 2018 with the new Panel to follow from around October.